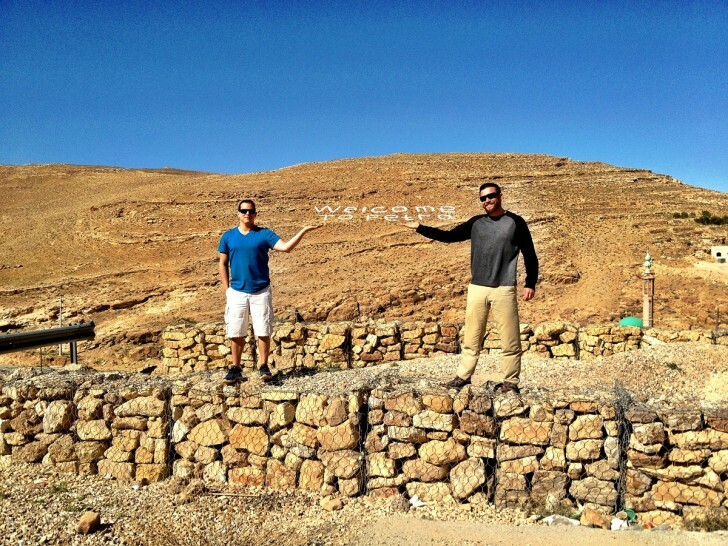 This is a guest post by Tyler, aka Honcho Extreme, the winner of the Jordan contest. 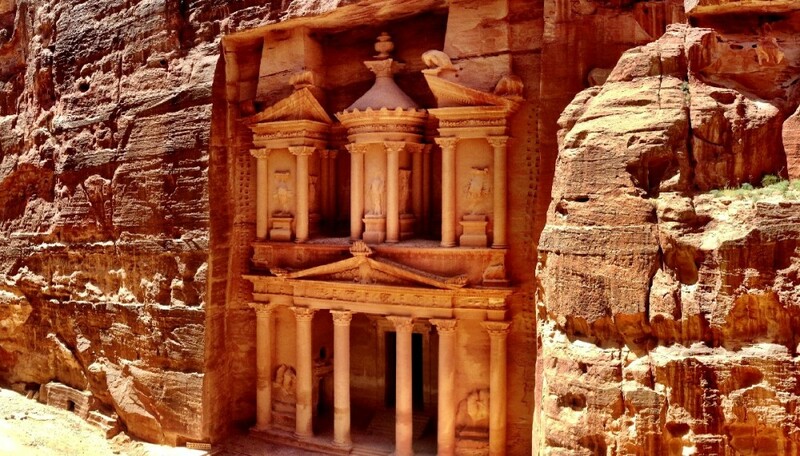 Petra was not just a destination along the ancient spice routes, it was a major junction in the Middle East for trading with cultures that inhabited areas of Indochina, the Mediterranean, Africa, and southern Europe. 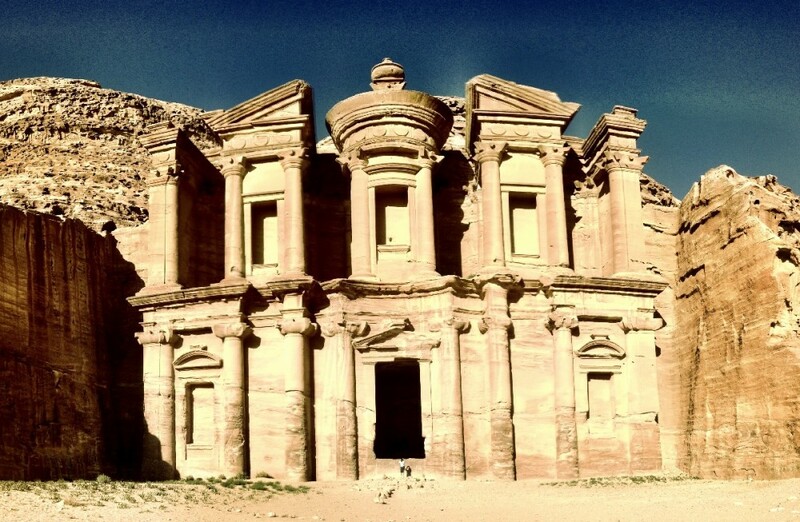 The Nabatean city tucked away in the mountains gained its wealth through control and taxation of trade routes after it was settled around the 6th century BC. 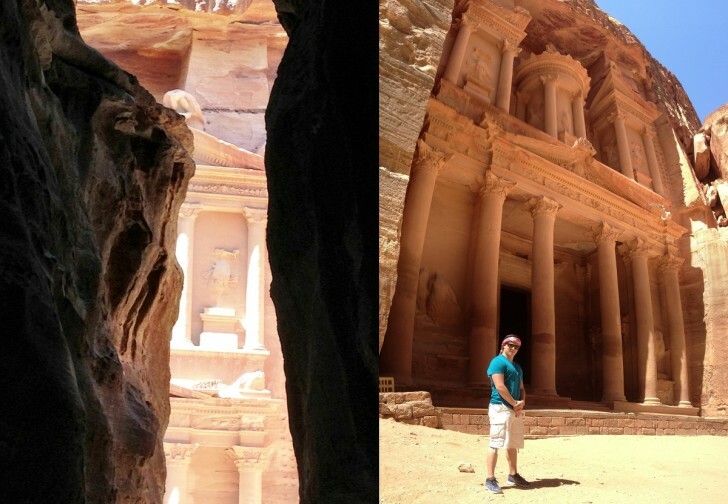 Today it is still a marvel to witness, as my pictures will not do the grandeur of the sites justice, and the most popular tourist attraction out of many astonishing sites in Jordan. Our fist inclination we were close to the newest wonder of the ancient world. 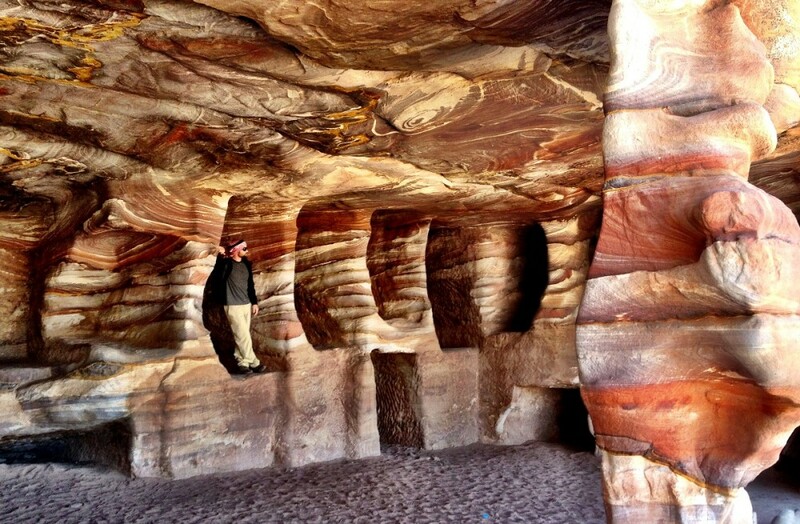 Walking through the Siq, the canyon walls are 250 ft (76 meters) to over 600 ft (183 meters) high! On the sides of the canyon walls are irrigation channels that brought fresh water to the city. 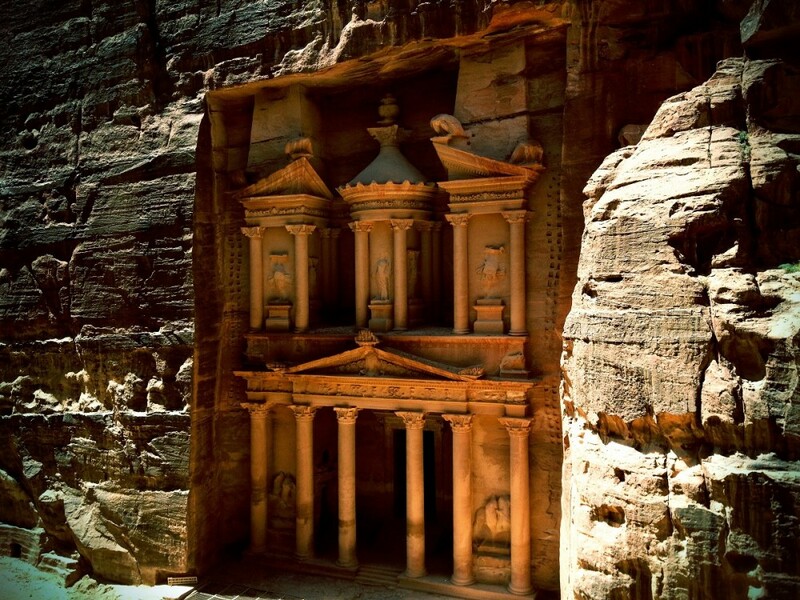 The Treasury was the tomb of a Nabateean King, carved around 100 AD but received its name because legend had it treasure was located inside the urn on the second level. The Wandering Trader and I from an exclusive vantage point. 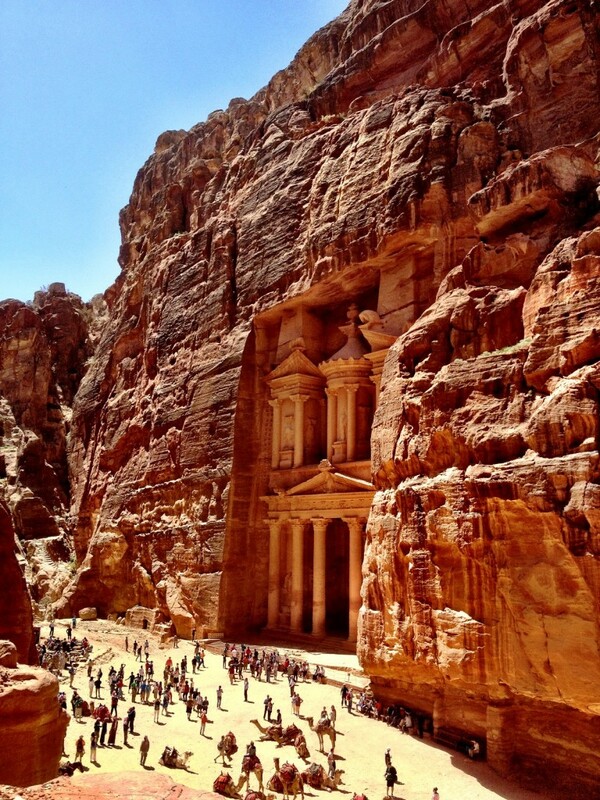 2,000 years old and still today perfection in a rugged cliff. Inside a series of tombs, whose interior lining is even more beautiful than the façade. 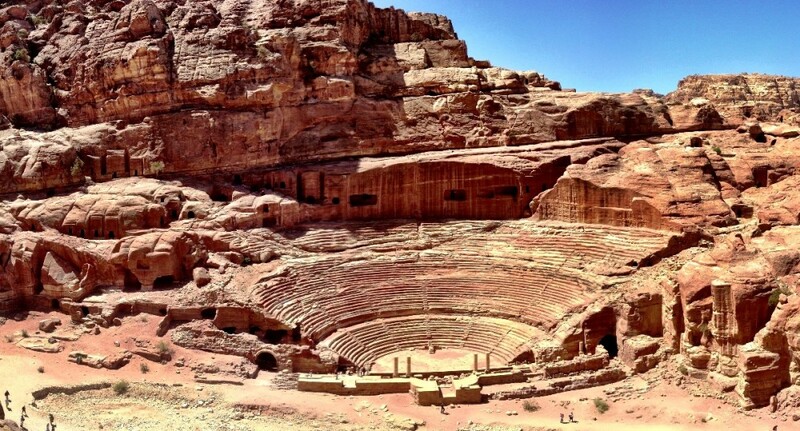 A massive theater chipped out of the stone, capable of seating thousands! 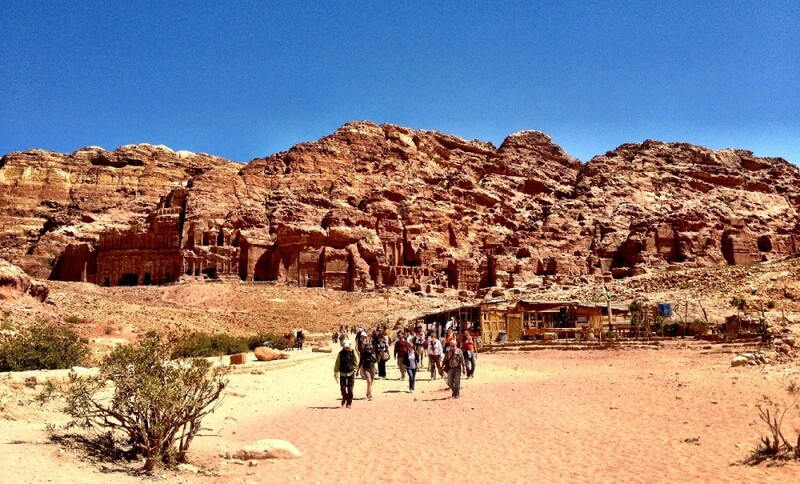 Reminds us of the first four days we spent in Jordan. 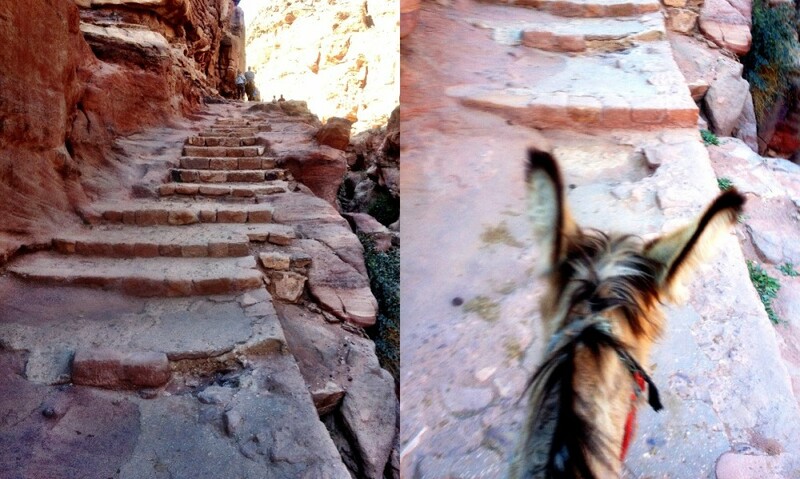 Up and over 800 carved steps on the far side of the valley a marvel that dominates Petra in sheer size waits. I recommend hiring a donkey, it makes the climb more interesting but also supports locals who earn a living taking tourist up the cliffs on a narrow trail. We entertained ourselves with a donkey race off! The Al-Deir Monastery, for a size reference look at the person standing beneath its entrance. While it can be done on your own the responsible thing to do is hire a local Bedouin to take you to the top. 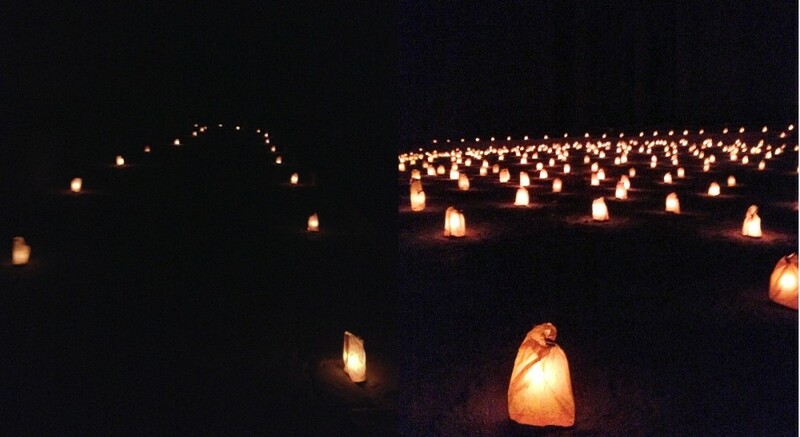 On certain nights you can follow a candle lit path to the Treasurey where you will be greeted with Bedoiun Whiskey while sitting in the still night air listening to music and taking in the magic of this special place. 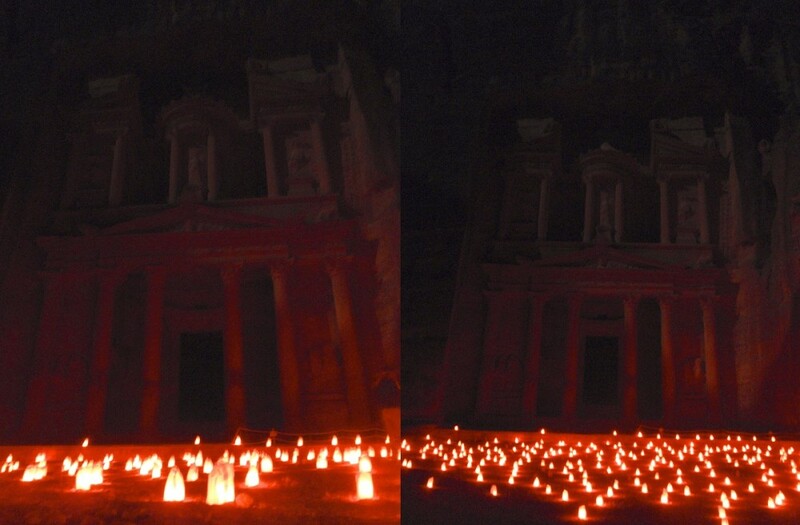 And you couldn’t miss Petra by night. One last shot from the from the incredible view that we had. 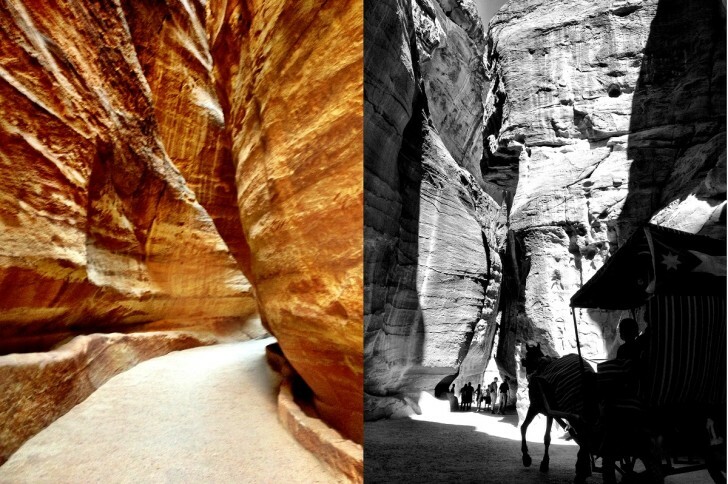 Peruse more pictures from Jordan by visiting the gallery and don’t forget to visit the top 5 section for the best things to do in Jordan and around the world. Awesome pics Marcello and Tyler! Incredible photos! 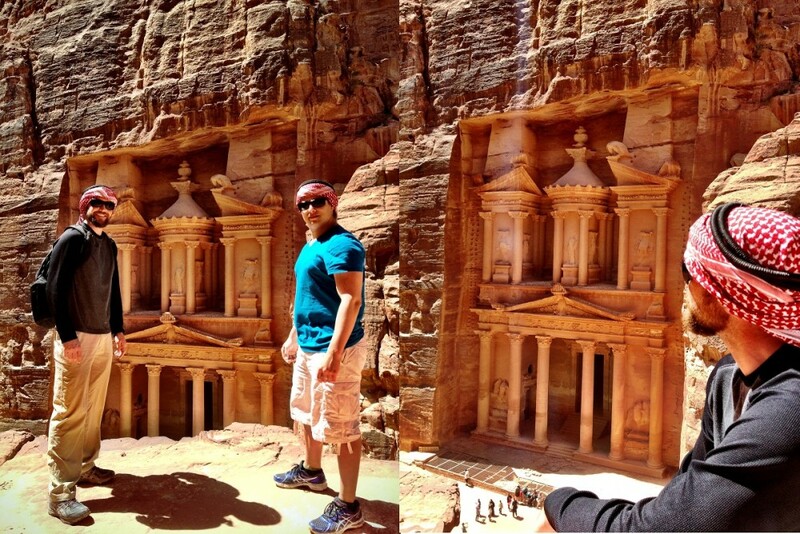 I would love to visit Petra one day but always imagined doing so during the day. Now I realise the charm is in staying around after the sun has set! Absolutely awesome photos. My mom took a trip to the area many years ago and now that she is gone, looking at the photos she brought back bring me a lot of pleasure. Thanks for a great blog! Love the images and vivid details. 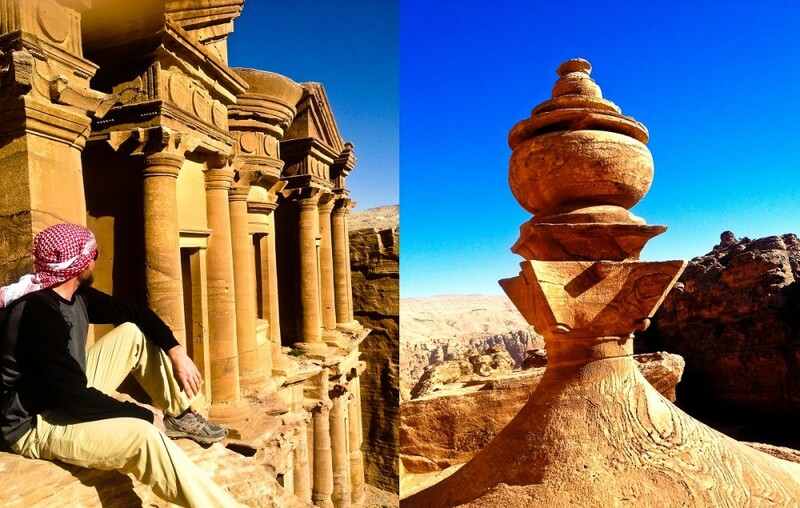 The size comparison of the person in front of the Al-Deir Monastery is incredible. This is definitely on my bucket list!